Hitchin Round Table, established in 1947 has been an integral part of the town for generations. We have supported countless community events over the last 70 years, including the popular Beer and Cider festival at the Rugby Club. 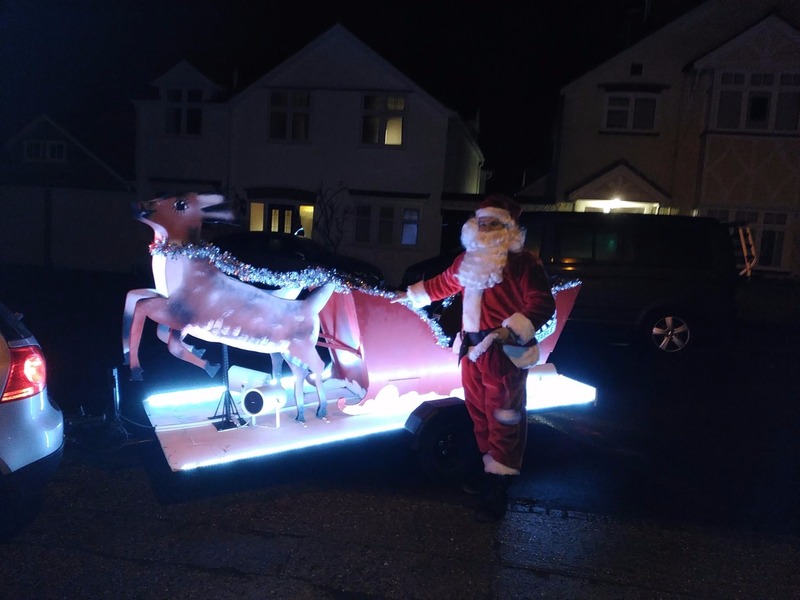 You would have seen us in the streets of Hitchin with the traditional Santa Sleigh at Christmas; we try to visit as many houses as possible, the money raised goes straight back into the local community. We are a social group and meet alternate Tuesdays for events, organised by members. Events are planned around members interests or for the group to try something new, we have done: Fencing, Samba Drumming, Beer Tasting, Go Karting, Pub Quizs, to name a few. Not to mention the occasional trips to the pub or out for a curry. We also have an annual away weekend, which is a surprise for all but the organiser – a fun weekend to relax with friends - this year was a trip to Berlin. Our membership is open to men from ages 18 to 45 and is drawn from all sorts of occupations, social and ethnic groups, and backgrounds. As a member you can attend as many events as you want during the year, and get to make a difference to Hitchin by raising money for local charities. We encourage anybody who is interested to give it a go - drop us a note and call in for a couple of free events. There is no obligation to join but will have a fantastic time!